Bi4f region has well separated spin-orbit components (Δ=5.3 eV). 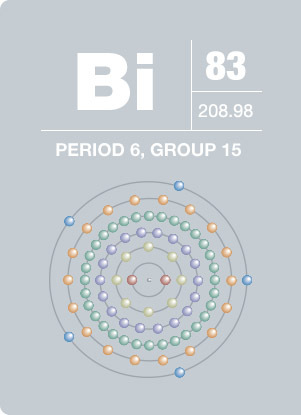 Peaks in the Bi4f region have an asymmetric peak shape for bismuth metal. 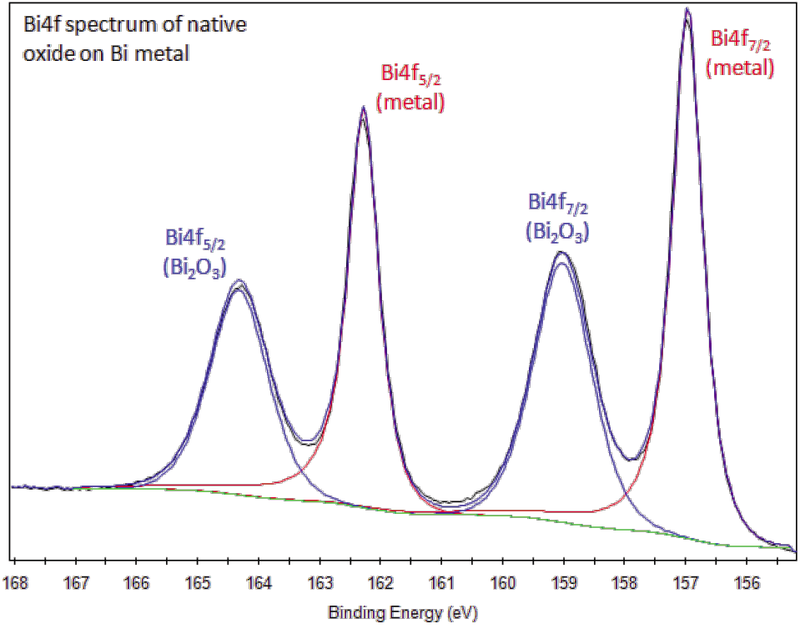 Bismuth compounds, such as the oxide, have symmetric Bi4f peaks. This brittle, pinkish metal gets its name from the German word wissmuth, meaning white mass. In early times, bismuth was often confused with tin or lead due to its resemblance to those elements. When bismuth is combusted with oxygen, it burns blue and its oxide forms yellow fumes. Bismuth is used in cosmetics. It is found in pharmaceuticals and is used to treat gastro- intestinal diseases. Strong permanent magnets are produced using one of its alloys, and bismuth has been used as a dense material in fishing sinkers and as a replacement for lead in shot and bullets.